While many of us enjoy the opportunity to let go of the mental stress of work and everyday life, we quickly forget how big of a stress our diet can be on our bodies. 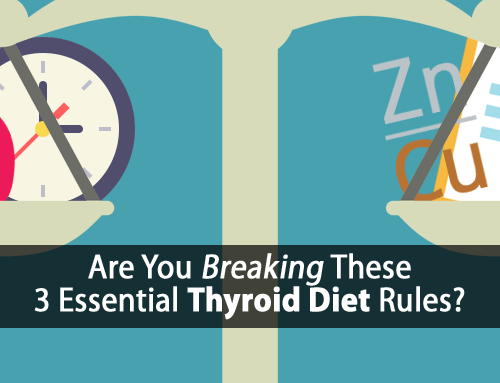 Most people don’t realize how big of an impact their diet can have on their stress levels, their thyroid function, and every single facet of their health. Whether you have hypothyroidism, thyroid disease, or any other health issue, this doesn’t mean that you can’t enjoy everything the 4th of July has to offer. It just means that you need to be a little smarter with your food choices so that you can enjoy a healthy 4th of July holiday without paying for it later. Below are four simple and healthy 4th of July diet tips that can help you survive the holiday and keep your energy and thyroid functioning at its best. One of the biggest, if not the single biggest, dietary cause of hypothyroidism today is polyunsaturated fats (a.k.a. PUFAs). They have been shown to block thyroid function on three different levels: at the gland, in the bloodstream, and at the cell. In other words, it doesn’t matter how clean your diet is or how much thyroid hormone you supplement, PUFAs throw a wrench into your whole hormonal system. Hotdogs are made up of primarily inexpensive low quality pork and turkey meat. In order to reduce the cost of meat, farmers must reduce the cost of the animal feed. Agricultural research many decades ago showed that adding inexpensive PUFA to animal feed suppressed the animal’s thyroid and caused them fatten quicker. Cheaper feed and fatter animals allows farmers to produce inexpensive but low quality meats. One of the biggest problems is that non-ruminant animals like pigs and turkeys store PUFA directly in their own fat cells. So, when you eat the meat of these animals, you’re also getting lots of PUFA to go with it. On the other hand, ruminant animals like cows have the ability to convert some of the PUFA into healthier saturated fat that does not have the same thyroid suppressing effects that PUFAs have. 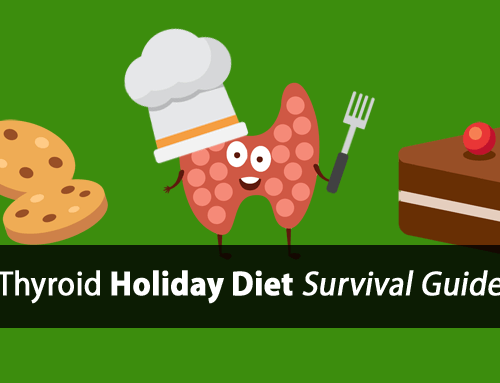 With this in mind, simply having a hamburger instead of a hotdog can really cut down on the amount of thyroid suppressive PUFA you eat and allow your thyroid to enjoy the holiday with you. However, I’m not a fan of boxed burger patties or highly processed hamburger meat. 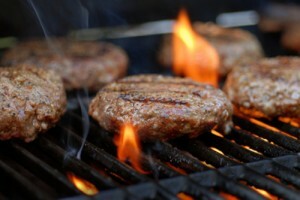 Do yourself a favor and grill your own burgers, which is a far healthier option. Baked beans are another common 4th of July favorite that you should definitely pass on this time around. The fact that beans cause excessive gas for most people is just one sign that you should avoid them. Beans in general are very difficult to digest and if you’re not digesting them, the bacteria inside your digestive tract are. When these bacteria eat your beans for you, they produce gas as a byproduct. Not only is this irritating to your digestive tract, it also increases endotoxin production which increases estrogen and stress hormones, both of which suppress your thyroid. Another reason to avoid beans is that they are estrogenic by nature because they contain phytoestrogens that are known to increase estrogen and estrogen activity in your body. Estrogen itself causes direct inhibition of your thyroid gland by blocking the proteolytic enzymes that allow your gland to release its stored thyroid hormone. I highly recommend you pass on the beans, and on the gas, and instead grab an extra piece of watermelon. Unlike beans, watermelon is easy to digest. Watermelon will help stabilize your blood sugar which is essential for proper thyroid function and provide some additional hydration if you’re spending time out in the hot summer sun. Like baked beans, potato salad is another common side item found on most tables during the 4th of July. On one hand, potatoes are loaded with beneficial nutrients, but on the other hand, they are a starchy food that can really disrupt your blood sugar if you’re not careful. Because of this, it’s best to use a good amount of fat with potatoes to help slow down the digestion and absorption of the starch, so it has much less of an impact on your blood sugar. With that being said, the type of fat you use is also just as important, if not more. Potato salad is really just potatoes covered in mayonnaise as a fat source and it’s the mayonnaise that is quite thyroid suppressive. Look at any store bought mayonnaise and you’ll see that it’s made out of soybean oil. Clever marketing tricks are being used to make it appear as if other healthier oils, such as olive oil, are being used but if you look at the ingredient list, you’ll find that it’s still the same soybean oil with a little olive oil added. But for all intents and purposes, it’s still soybean oil. Soy, or soybean oil, is one of the worst foods for your thyroid as it’s both a very toxic PUFA as well as a legume which is also very estrogenic. So, you’re really getting the worst of both worlds. Instead of opting for the soy covered potato salad, have yourself a baked potato and cover it with butter and cheese. Not only will this be a much healthier and thyroid healthy option, it will make all of your fellow potato salad eaters jealous. Fun Fact: On any given day, the Miller Brewing Factory in Milwaukee Wisconsin can produce as many as 200,000 beers, all of which leave the factory within 24 hours of production. That means that some people are drinking a lot of beer, and that’s just from one factory alone. It should be no surprise that beer consumption increases drastically during the 4th of July. I’m not going to lie and say that I don’t enjoy a beer now and then. But I definitely don’t enjoy it as often as I would like because it is yet another source of thyroid-suppressive estrogen. Hops, one of the main ingredients in the beer brewing process, contains phytoestrogens, which studies have shown increases estrogen within the body. 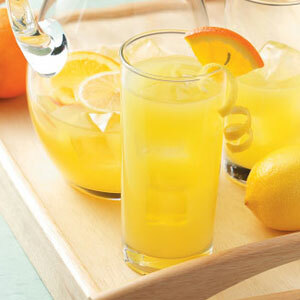 Instead of reaching for a beer this 4th of July, enjoy some natural lemonade instead to help cool you off. Not only is it nice and refreshing, but sipping on it slowly throughout the day can help regulate blood sugar and keep you properly hydrated. But, be careful because most store bought lemonades are not even really lemonade. Be sure to check the ingredient list or make your own. It should only have three ingredients, water, lemons or lemon juice, and sugar. 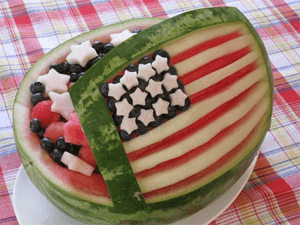 Following these four simple and healthy 4th of July diet tips, you don’t have to stand out from the crowd and look like a party pooper for not eating and enjoying the many traditional 4th of July foods. 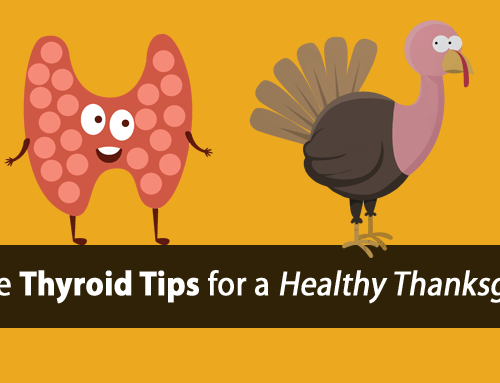 By simply making healthier, more thyroid-friendly food choices, you and your thyroid can both enjoy the holiday. 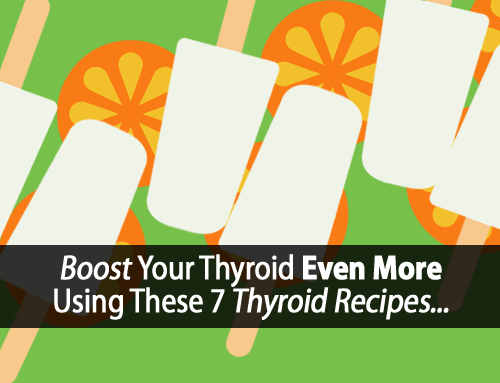 Want to boost (and protect) your thyroid even more this 4th of July? 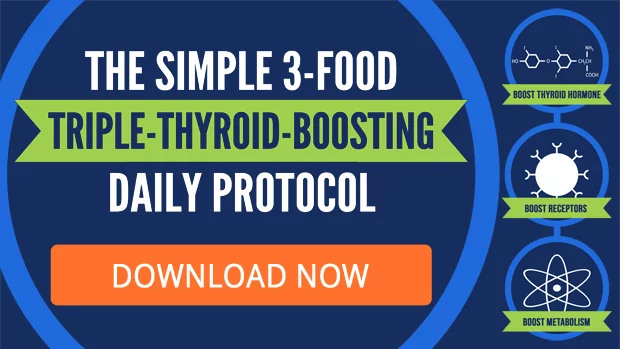 Use this 3 Food Triple Thyroid-Boosting Daily Protocol. It’s a super simple way to start every day feeling calm, clear, and full of energy. It’s a great way to start your 4th of July holiday on the right note. 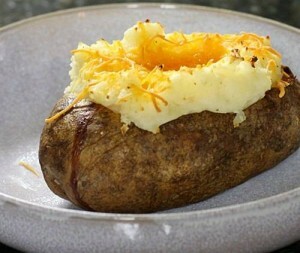 Yum, Baked Potato with Butter and Cheezzzzzzzzz…..Just Heaven ! Thank you so much! Great information! You are a natural teacher! from a teacher! Through your eyes I see more and more clearly how to best feed my thyroid for better health. Thank you for your commitment and dedication! Can I do potato salad with your mayo recipe? How about vodka in the lemonade? Are all beans created equal? I love pinto beans, black beans, cooked from the dried state with water and garlic and cilantro, salt and pepper. How does this effect my thyroid? Yes, they actually use bean extract in medical research to mimic viral infections and autoimmune disease. I am late to read this, but I stayed home and followed my diet. The good thing is, it reviewed the reasons for not eating beans and store-mayonaise and the article is good for other holidays. I plan to make the program for life, so copied it for future use. thanks! So about the turkey and pork does this apply to chicken as well? I eat mostly chicken and turkey because it has the most protein vs. beef. Hi Koleen, chicken’s don’t convert PUFAs either. Hello Tom…Thank you so much for all of the thyroid-saving assitance that you provide! I was wondering why gluten and/or sugar were not on this list? Hi Tracy, I would encourage you to read more of our articles as you’ll find the answers there. How can one reduce estrogen in the body please? Hi Kim, thanks for sharing and keep up the good work. the autoimmune diet recommends not eating potato as it is a member of the nightshade family. What is your views on this. I did the diet for 5 months religiously but didn’t notice any real difference especially to my antibodies ( I have hashimotos) will your diet help me feel ‘normal’ again. I don’t take any meds but have many aches and pains all over. Yes, the program will help and there are some additional recommendations that can be made for the aches and pains if needed. Great tips! Thanks for passing them along and Happy 4th to all! Hi Tom, is it ok to eat a LOT of berries during the season – straw-s, rasp-s, blue-s & cherries ?